Introducing Corax, the latest in our line of plague doctor masks. Unlike our other plague doctor masks this version doesn't cover the eyes. It can be worn with goggles, or prescription glasses, or with the eyes left uncovered. 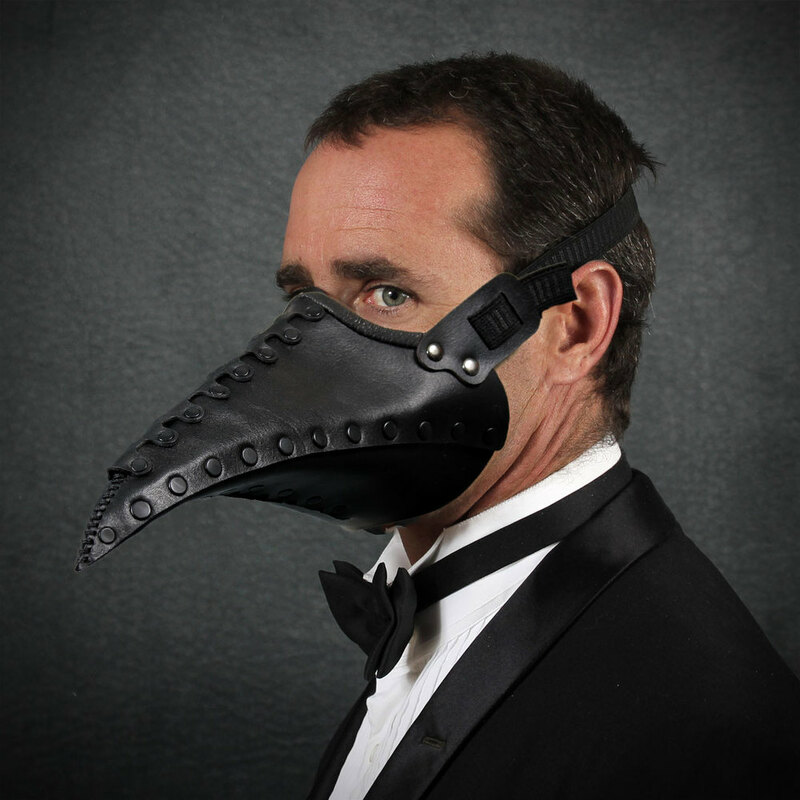 Similar to the Pestis mask but with a longer beak. The mask is made of medium weight veg tan leather and has an adjustable elastic strap. It will fit most adult heads up to 24" around. The edge going over the bridge of the nose has deerskin binding for comfortable wear. There are a series of ventilation holes on the bottom of the beak for easy breathing. Corax can be purchased at our Etsy store.